Many people are excited with the upcoming summer events this year. With just a few days to finish academic requirements for this year, many students are planning for a memorable summer vacation this year. On the other hand, young professionals are preparing for summer trips with their loved ones. To enjoy a memorable summer vacation, choose a place that has everything for you. For those who love swimming, one of the most popular summer destination is Watercamp Resort in Cavite. It is located at Panamitan, Magdiwang Highway, Kawit, 4104 Philippines. Since it is very accessible from the metro, many holidaymakers visit the place every weekend or during holidays. Here are the wonderful things that you'll enjoy while having a vacation at the famous resort in Cavite. 1. The resort management offers very affordable rates for you. For entrance fee, the payments for adults is P240.00 and for kids below four feet is P220.00. 2. The swimming hours are very convenient. From 8 o'clock in the morning up to 12 midnight, you'll enjoy swimming at the resort. 3. The resort management offer a stress-free stay at the resort for all of us. For food and dining, you can enjoy eating at Josephine Restaurant. 4. Don't worry about accommodation. The resort can accommodate large groups, small families and individuals for an overnight stay. The guests can choose from their 10 standard rooms, 10 Family De Luxe Rooms and four family villas. 5. The resort has six swimming pools such as Mini Wave Pool, Kidney-shaped Pools with Slides, 160-meter Lazy River, Children's Interactive Pool, Dunk Pool for 2 Level Slides and Adult Pool. 6. 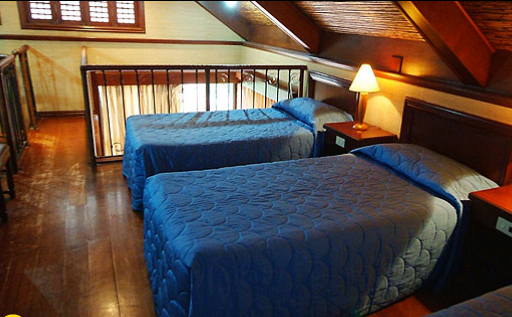 The resort has 3 Superior rooms for those who want maximum comfort and convenience. If you have plans for a summer vacation, don't forget to find the best places to visit with your family and friends. Families love to vacation at resorts that offer kids programs, activities for everyone to enjoy together, special amenities for babies..I really love to read this post or also gain some more information about this apartment..